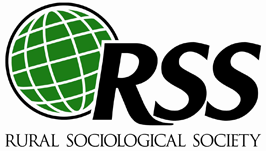 Do you have news (a new book, published manuscript, national or local interview, or conference presentation) to share with members and friends of RSS? Send it to the Business Office [email protected]. RSS Member Loka Ashwood has been mentioned in the Daily Yonder article Speak Your Piece: The Corporation Next Door. RSS Member Loka Ashwood has also wrote a piece for Environmental Health News, Opinion: Right-to-Farm laws run counter to rural culture and property rights. The Highlander Education and Research center, which received the RSS Distinguished Service to Rural life award in 2016, suffered a fire destroying their main building. RSS Member Lisa Pruitt has been mentioned in the New York Times article ‘Hillbilly Elegy’ Had Strong Opinions About Appalachians. Now, Appalachians Return the Favor. RSS Member Lisa Pruitt has been mentioned in the Law360 article No Country For Old Lawyers: Rural U.S Faces A Legal Desert. RSS Members Linda Lobao and Curtis Stofferahn's research had an impact in the case surrounding the Corporate Farming Law. RSS Member Eddy Berry of Utah State University was quoted in a Utah State University News Release on the 50th anniversary of the Yun Kim Population Research Laboratory. RSS Member Dianna Bryant of University of Central Missouri was quoted in the Sacramento Bee article In emergencies, cell phone alerts can be too slow to save lives. Can the system be fixed? RSS Members Sonya Salamon of University of Illinois, Urbana - Champaign and Katherine MacTavish of Oregon State University have been mentioned in the Santa Fe newspaper article Trailer park place: Examining life in a singlewide. RSS Member Emily J. Wornell, Ph.D. of Ball State University has been mentioned in the Slate article We May Not Know When Automation Will Take Over, but the Anxiety Is Already Here. Shannon Monnat of Syracuse University has been mentioned in the New York Times article How a Police Chief, a Governor and a Sociologist Would Spend $100 Billion to Solve the Opioid Crisis. In this article, the authors discuss W.E.B. Du Bois' contributions to rural sociology, focusing specifically on his discussions of rural communities and the structure of agriculture. The authors frame his research agenda as an emancipatory empiricism and discuss the ways his rural research is primarily focused on social justice and the social progress of Black communities in rural spaces. Du Bois' empirical research, funded by the Department of Labor from 1898 to 1905, provides evidence that Du Bois was among the first American Sociologists to conduct empirical agrarian analyses and case studies of rural communities. Resistance to the Neoliberal Agri-Food Regime: A Critical Analysis: New York: Routledge by Alessandro Bonanno and Steven A. Wolf. RSS member Olaf Larson in the Cornell Chronicle article At 107 years old, Olaf Larson keeps longevity a ‘secret’. Olaf was RSS President in 1957-1958. At 107 years old, he is the oldest past president of RSS. In 1985, he was awarded the RSS Distinguished Rural Sociologist and in 2010 the RSS Graduate Student Paper Award was re-named in his honor. Shannon Monnat's research on deaths of despair and the election was cited in this AP story. Shannon worked with this journalist to identify locations her team should visit. RSS member Kristi Fondren, Marshall University recently published a book with Rutgers University Press, Walking on the Wild Side: Long-Distance Hiking on the Appalachian Trail (2016). Her research was recognized in October 2016 by the National Recreation and Park Association and received the Theodore and Franklin Roosevelt Award for Excellence in Recreation and Park Research. Q&A with Lawrence Busch, author of a new book on the neoliberal takeover of higher education. A new philosophy of higher education has taken hold in institutions around the world. Its supporters disavow the pursuit of knowledge for its own sake and argue that the only knowledge worth pursuing is that with more or less immediate market value. Every other kind of learning is downgraded, its budget cut. In Knowledge for Sale, Lawrence Busch challenges this market-driven approach. Robert Zabawa (Tuskegee University) and Conner Bailey (Auburn University) have been invited to present their research on heir property during a workshop on that topic being organized by the Federal Reserve Bank of Atlanta and the USDA Forest Service. The workshop will be held on June 15, 2017. Zabawa and Bailey's work is being funded by a grant from the USDA.